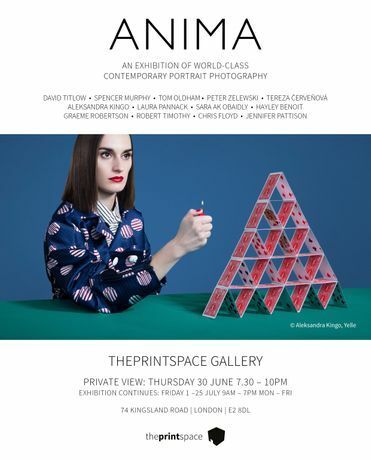 We are pleased to announce the opening of ANIMA, a collaborative group show bringing together thirteen of the finest contemporary photographic artists in the portrait genre. The exhibition has been curated to present a uniquely original and thought-provoking selection of images depicting a diverse range of subjects, characters, moods and locations. 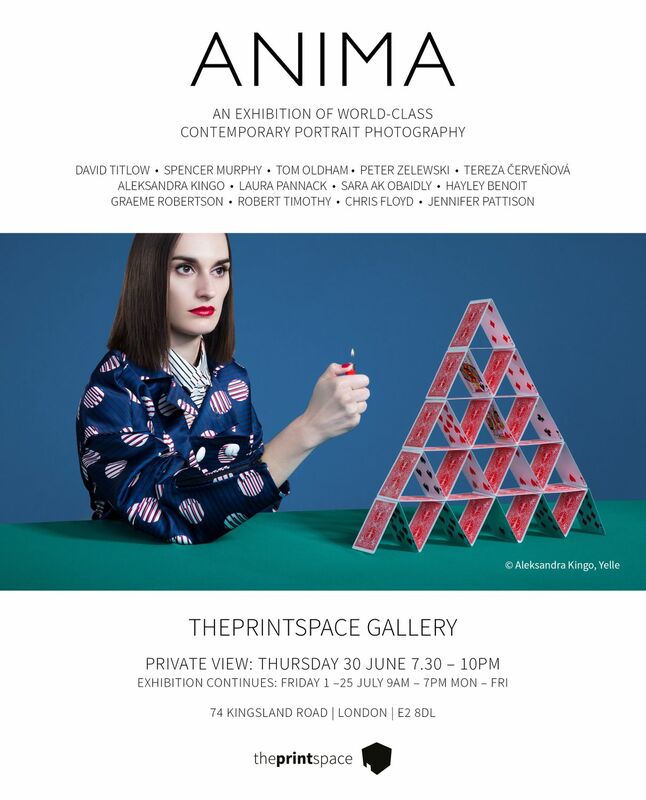 ANIMA brings together, for the first time, winning & shortlisted images from the Taylor Wessing Photographic Portrait Prize and from several other highly prestigious international exhibitions and awards. All are united by their creativity, quality and in-depth exploration of challenging and emotive subjects and narratives. Taking place throughout July, this free entry exhibition marks a unique opportunity for visitors to experience these genre-defining images at theprintspace’s London gallery: from David Titlow’s ‘Lars Konrad Hastings Titlow’, a painterly picture of his baby son, shot on the morning after a midsummer party in Sweden, full of love and warmth, and selected as the 1st Prize winner of the Taylor Wessing Prize in 2014; Tereza Červeňová’s serene, Vermeer-esque portrait of a mystery acquaintance; through to Graeme Robertson’s poignant image ‘Blind Boy in Village’ captured whilst Graeme was on assignment documenting the shocking plight of the blind in Uganda. The Exhibition seeks to represent the multi-faceted modern face of contemporary portrait photography, to inspire and to intrigue.